Fifteen years later, Arizona is only beginning to sort it out. And if a story in the Arizona Republic Sunday is any indication, the groundwork for a backlash already is being laid. Napolitano’s remarks helped kick-start what would become the nation’s longest foster-care panic. The number of children taken from their parents skyrocketed, increasing year after year after year all the way through 2015. Even with a slight decline in 2016, Arizona took away children at a rate more than 50 percent above the national average. 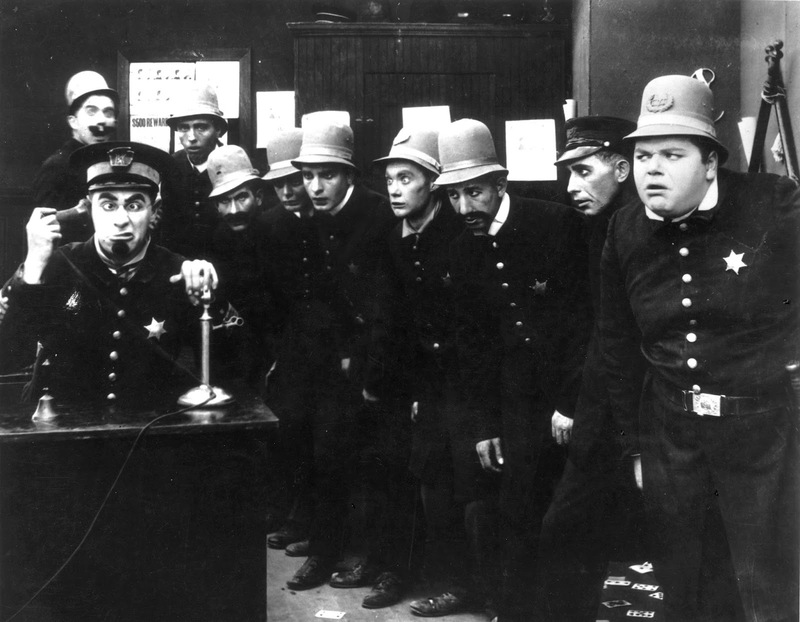 For some of that time, the panic was encouraged by the state’s largest newspaper, the Republic. But last year that changed. The Republic received a three-year grant to fund in-depth reporting on child welfare. Editors brought back to the Republic an outstanding investigative reporter, Bob Ortega. He was tasked with, in effect, leading the Republic to take a bold, new look at child welfare, a look that would question everyone’s assumptions, including the newspaper’s own. 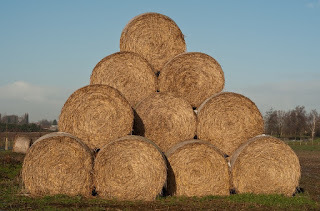 That led to superb stories such as this one. And this one. Though the project continues, there’s been a setback. Unfortunately for Arizona, Ortega left the Republic to join the investigative unit at CNN. This latest story, about promises by the Arizona Department of Child Safety (DCS) to do more to keep families together, still has a lot to commend it. The story focuses on a mother struggling with drug abuse. But instead of the usual horror story, this case is far closer to the norm – a mother who dearly loves her child and is winning her battle with addition. 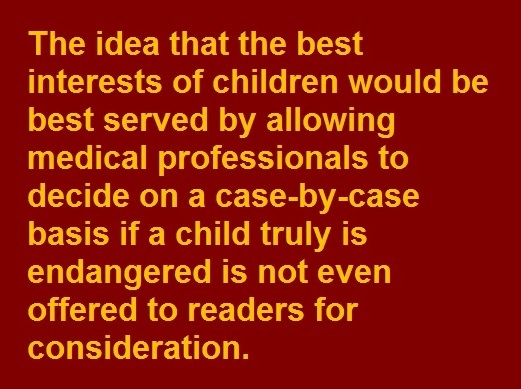 In addition, a lot of space is devoted to trying to explain the emotional harm done to children by needless foster care. But, at the same time, one can almost feel some of the old Republic assumptions sneaking back into the coverage. 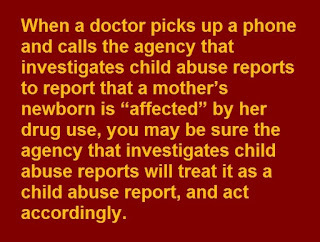 The story resurrects some myths that have plagued child welfare systems and child welfare news coverage for decades. 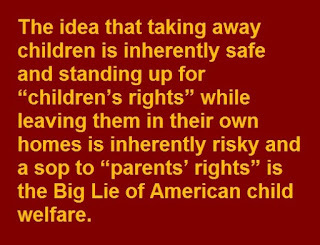 ● The myth that child removal equals child safety. As noted above, the story acknowledges theemotional harm of needless removal – and doesn’t just brush it off in a paragraph. 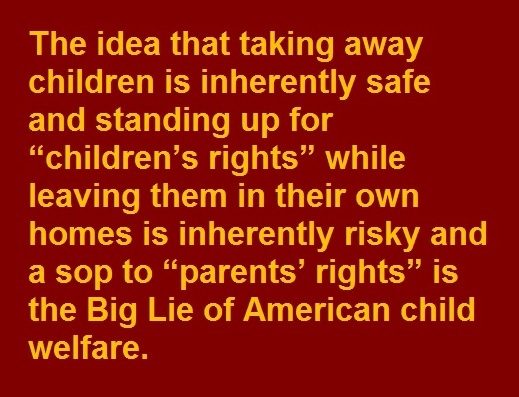 But it still implies that if you take away the child at least the child will be physically safe. 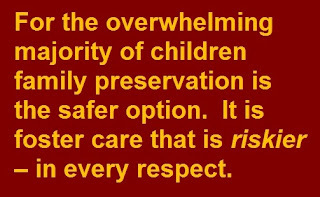 Like so many stories before, this one implies, wrongly, that child safety and family preservation are opposites that need to be balanced. Leaving the child at home is constantly described in terms of risk – even if the story suggests the risk might be worth it. In 2014, of 46 states that reported data to the federal Children's Bureau, all claimed that fewer than 2 percent of children in foster care had been harmed in the prior year. 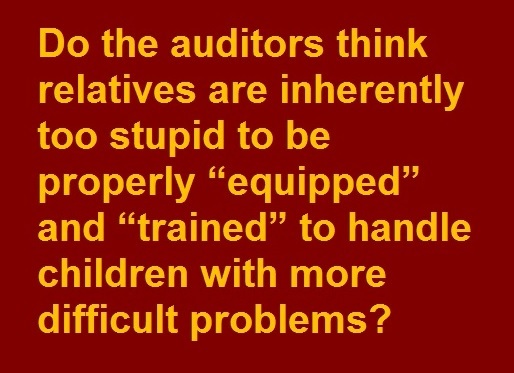 Arizona said that barely a tenth of 1 percent of children in care were verifiably harmed. 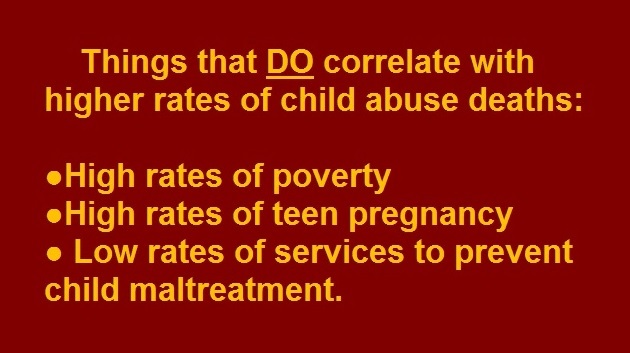 But in surveys going back for decades, from 25 percent to as high as 40 percent of former foster children report having been abused or neglected in care. 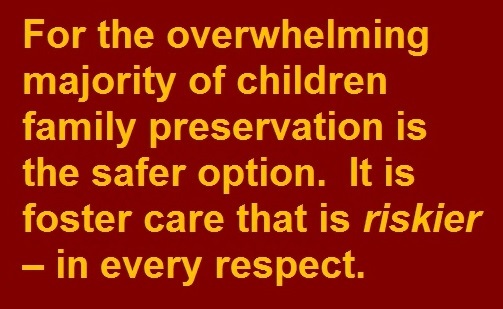 For the overwhelming majority of children family preservation is the safer option. 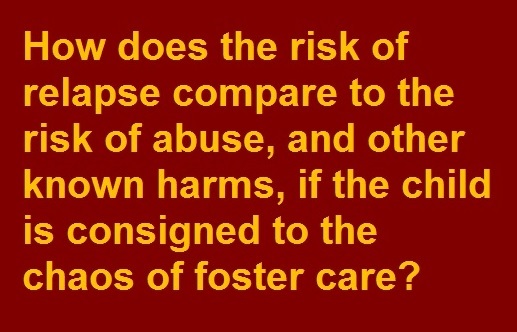 It is foster care that is riskier – in every respect. 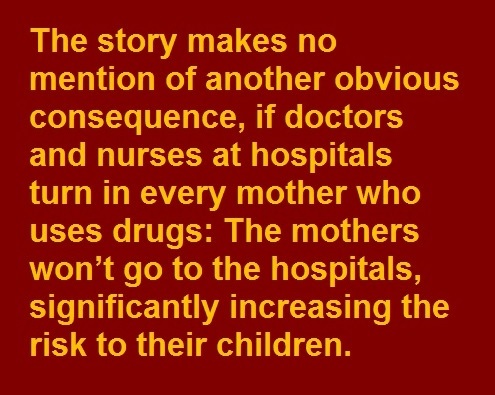 And discussions of emotional harm that largely lack specifics about outcomes don’t tell the full story of that harm. 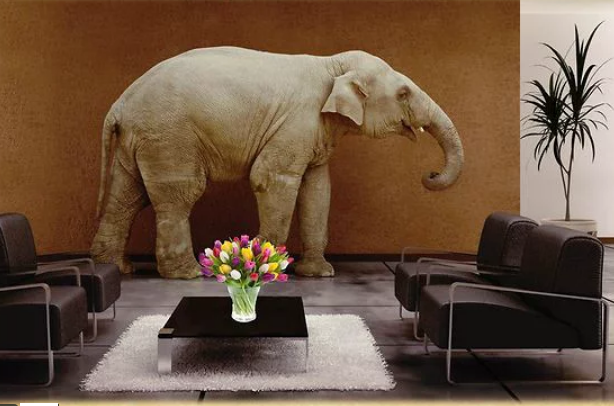 Since the mother at the center of the Republic story is recovering from drug addiction, it would seem particularly important to explain why helping her recover without placing her newborn in foster care is better for the child. But there is no reference to research such as a the landmak study of two groups of children born with cocaine in their systems, One group was placed in foster care, another left with birth mothers able to care for them. After six months, the babies were tested using all the usual measures of infant development: rolling over, sitting up, reaching out. Typically, the children left with their birth mothers did better. 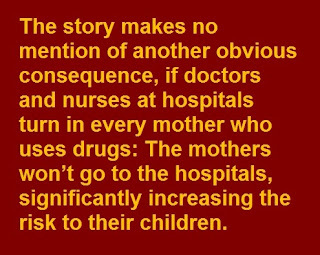 For the foster children, the separation from their mothers was more toxic than the cocaine. 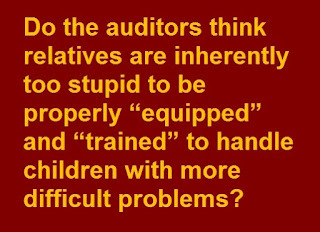 And, of course, there are those two massive studies of more than 15,000 typical cases, which show that children left in their own homes fared better in later life even than comparably maltreated children placed in foster care. 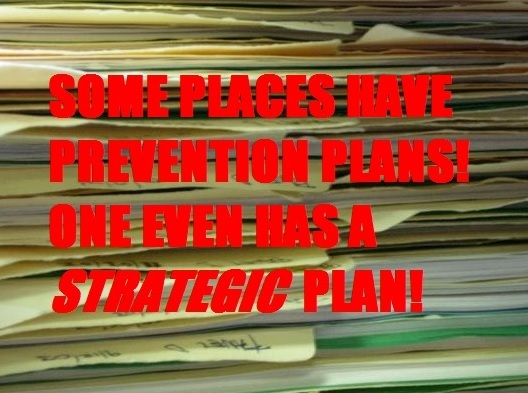 So from the point of view of child safety in all its forms, Arizona’s stated new approach – which emphasizes working harder to find ways to keep children safe without resorting to foster care -- makes sense. 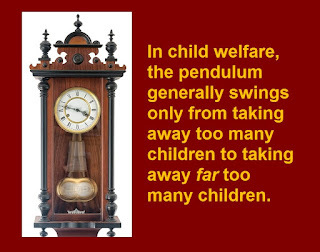 ● The myth of the ever-swinging pendulum. 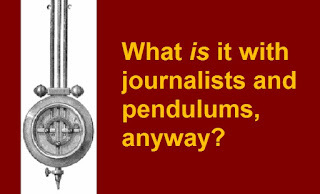 What is it with journalists and pendulums, anyway? 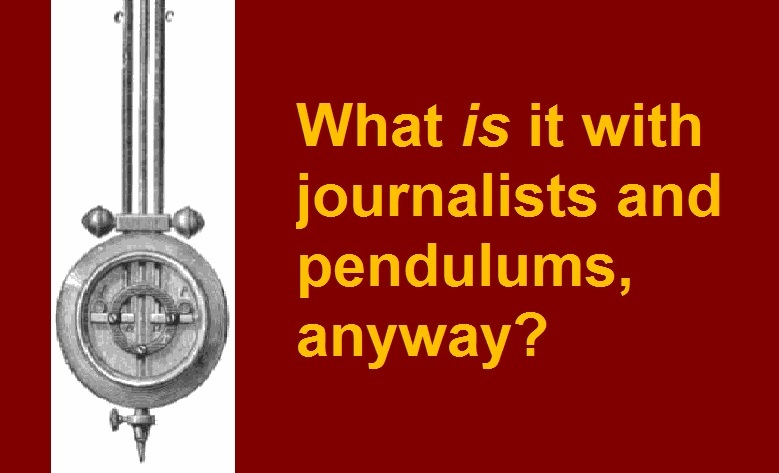 Even when I was a reporter, I never understood the fondness of my fellow journalists for thinking of just about everything in terms of a swinging pendulum. The Republic story is no exception. 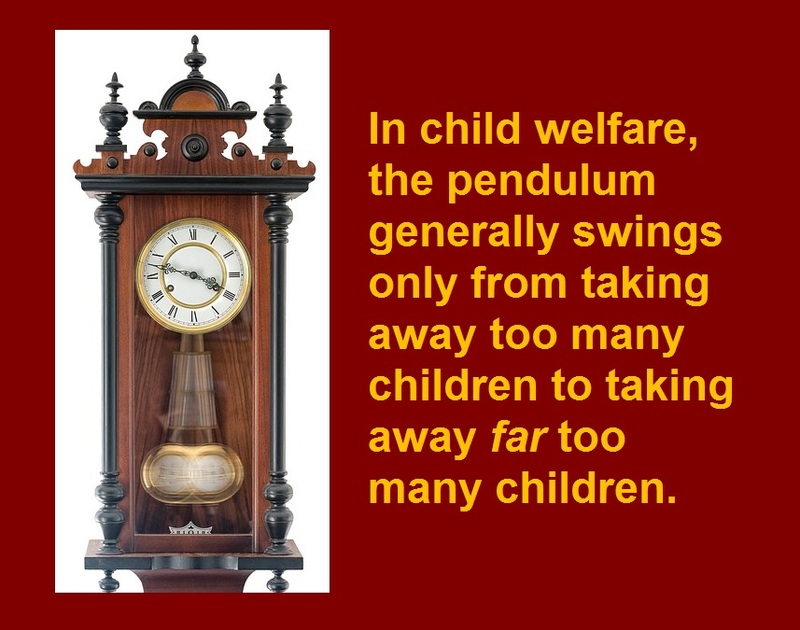 It keeps coming back to whether the pendulum is swinging and how to set that pendulum in just the right spot. Editors love those pendulums, too. The metaphor makes it into a subhead and a pullquote. 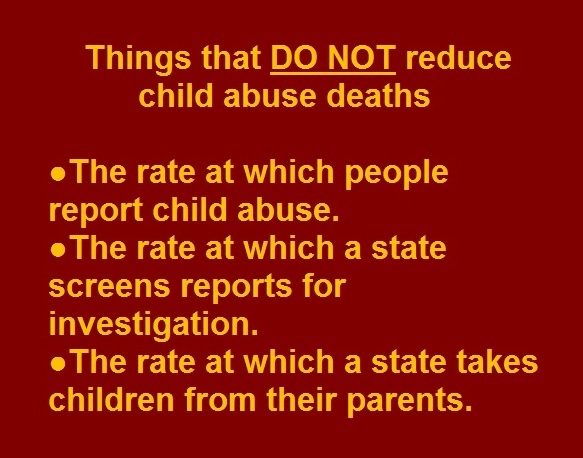 since the new practice started late last summer, there have been child deaths and near-fatalities in which [the State Department of Child Safety] was involved. It's unclear, at this point, whether any of those cases involved a decision to leave a child at home, or under the supervision of a “safety monitor.” Investigations are ongoing. 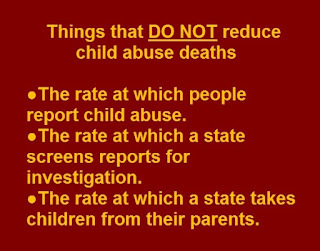 In fact, even if it hasn’t happened yet there will be cases in which the new approach leads to leaving a child at home and something horrible happens to that child. 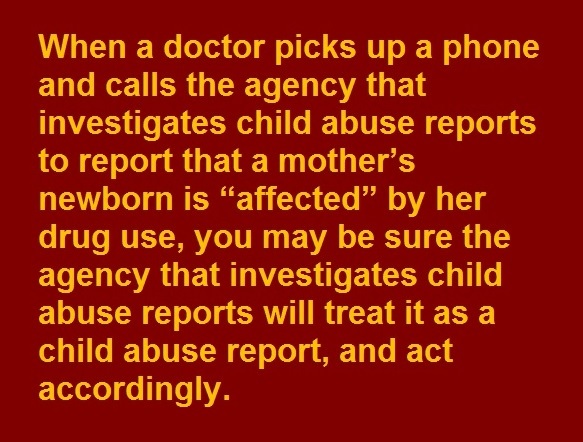 But the same thing happened under the old “take the child and run” approach, when caseworkers were so overwhelmed with children who didn’t belong in foster care that they had no time to investigate any case properly, and overlooked more children in real danger. 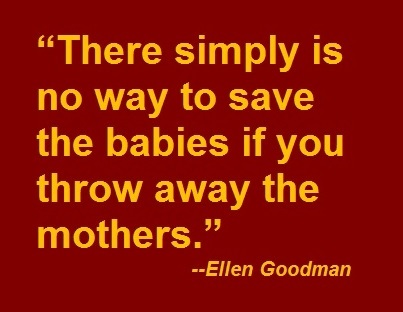 And, of course, it happened every time a child was needlessly removed only to be abused in foster care. 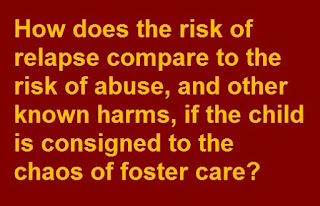 But that won’t stop those wedded to the take-the-child-and-run approach from exploiting the tragedy, whenever it occurs and whatever the circumstances, to try to sabotage this first small effort to curb Arizona’s 14-year foster care panic. 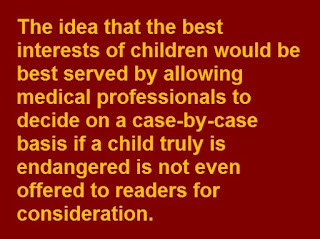 As I’ve noted before, opponents of safe, proven alternatives to foster care will never give up their horror stories – because it’s all they’ve got. 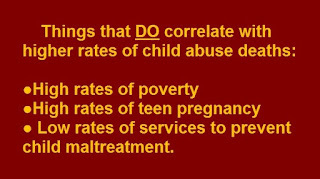 There is no approach to child welfare that eliminates every tragedy. 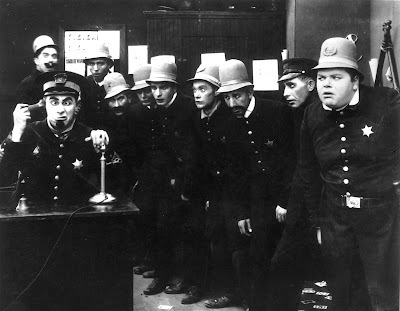 If you judge a system by its horror stories, all systems fail. 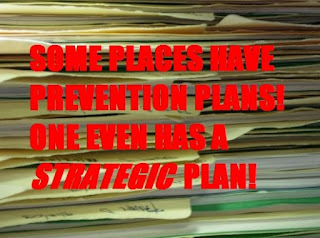 The question is which approach typically makes children safer – and on that the evidence is overwhelming: You can’t have child safety without family preservation. For more about Arizona and its long, long foster-care panic, see our 2007 report on Arizona child welfare.